Shortly on the heels of news that a petition was circulating calling for the replacement of the name of coastal B.C. 's highest peak, Mt. Waddington, with the name of a former Chief of the Chilcotin band, the B.C. 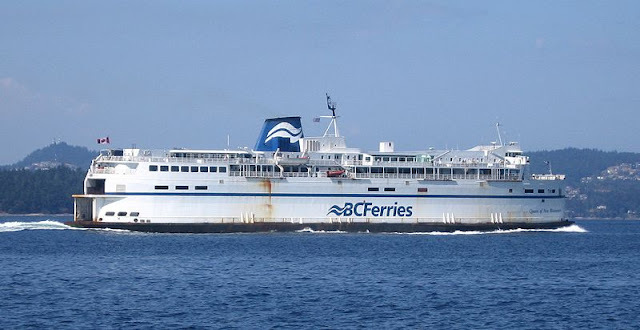 Ferry Corporation announced in July 2015 that three new vessels were going to be named in honour of Coast Salish history. They were "Salish Orca", "Salish Raven" and "Salish Eagle". Earlier, the Victoria Times Colonist ran its own contest, in this case receiving 550 suggestions. As two of their journalists reported, "Aboriginal names were prominent...and the word 'Salish' appeared 72 times...The winner of our contest was based on the popularity of names and themes submitted by readers. Queen of the Salish Sea, as suggested by Victoria's Laura Weston, combined the desire of entrants to retain the old class names with a swell of support for all things Salish." Of course, one Indian, that is, "Indo-Canadian", Suki Grewa, wanted to get in on the action too. His suggestion? "Spirit of Multiculturalism". I have a more apt name. 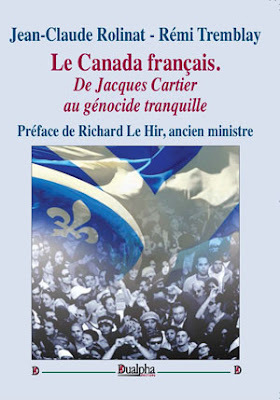 "Spirit of Eurocanadian Displacement". A submission by one Sharon Sinclair captured the spirit of Cultural Marxist collaboration, enablement and white self-abnegation with her suggestion of "Shores of Diversity." How about "Shores of Ethnic Quislings"? I think it is only appropriate that "First Nations" nomenclature should be substituted for any locality, vessel or institution named after a wicked White 'settler', even if he happened to have been born in Canada. After all, what did Canadians of European origin ever do for this country, except build it? They took down South Carolina's Confederate battle flag, they're intent on taking down Mr. Waddington's reputation and they have a whole host of statues to take down too. There's been talk that even Thomas Jefferson isn't safe anymore, and in Canada, I hear that Wilfred Laurier is on the hit list now. Round and round she goes, where she'll stop, nobody knows. No doubt if the Statute of Limitations was the "Statue" of Limitations, it would topple too, because the Grievance Lobby wants to keep going further and further into the past so it can "out" more and more Dead White Racists. Perhaps a merger is in the offing. "Racists Getting Fired" will become "White Racists Getting Fired or Retroactively Discredited Dead or Alive." Who knows, maybe centuries hence, when there is not even a trace of European-Canada to be found, paleontologists will posit the existence of a "missing link" between the pre-Columbian peoples and conquering Asian supermen. Dubbed "Homo Eurocanadas", it will be widely thought of as a figment of the imagination of Crypto-zoologists who insist that a few remnants of this species are hiding in the wilderness. All they have as evidence, skeptics will claim, is the skeletal remains of a hominid without a backbone. The Missing Link — Homo Eurocanadas: Fact or Fiction?